The restaurant life is busy! If you own or manage a restaurant it’s likely you don’t have time for maintaining social media accounts, writing blogs, posting photos, responding to reviews and creating promotions. Unfortunately, staying active online is crucial to attracting new business and keeping your current customers happy. There’s a conversation happening about your restaurant online right now. Not participating reflects badly on your brand. 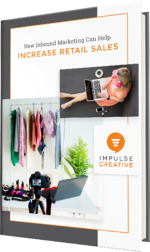 The Impulse Creative team can ease your marketing headaches with a strategic social plan for your brand. Boost your organic web traffic and fill more seats with active accounts that feature fun photos, showcase specials and promote deals that give you a competitive edge for the cost of a free appetizer. The basic formula is simple: the more you strategically post online, the more traffic you’ll get. Get your solid social foundation, occasional help or a full-service marketing edge from the team more restaurants rely on.